The first phase cost is $20 million and the second phase is $25M. 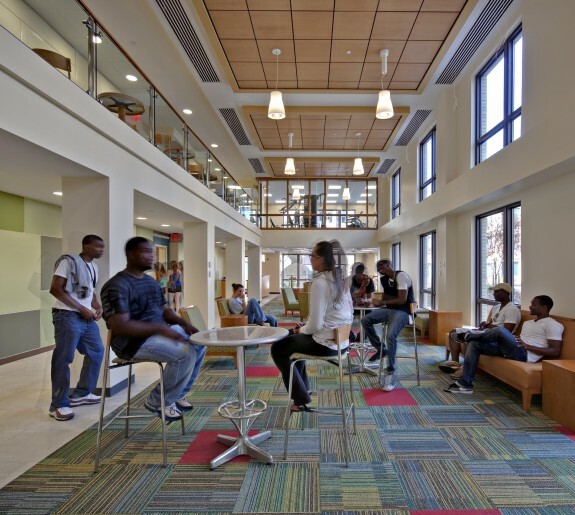 Towson University needed to look beyond the built-out residential quads of earlier eras. 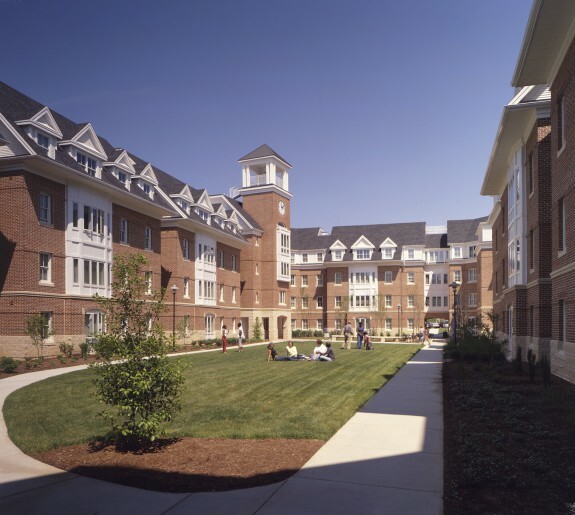 The western most parcel of the campus, used primarily for commuter parking, was a prime location for the new community known as West Village. 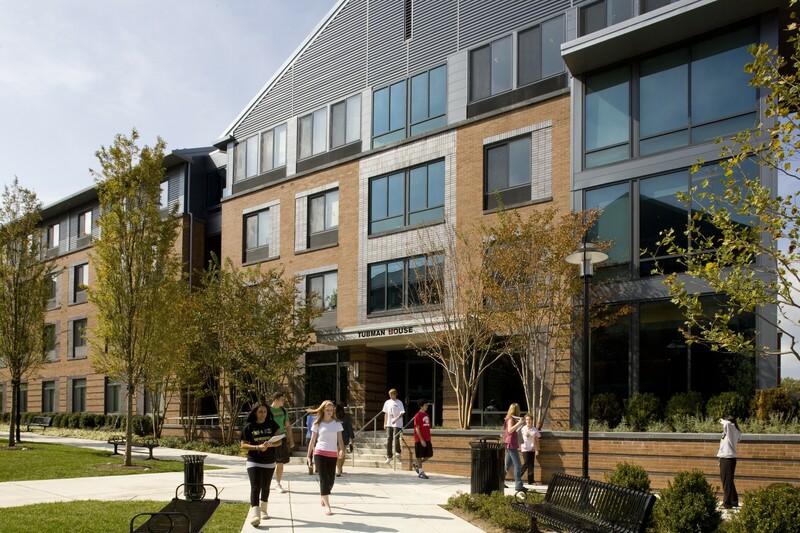 With excellent proximity to the student center, future cafeteria, athletic fields, and classroom buildings, West Village will become the new heart of residential activities on campus. The new master plan aligns a grand promenade parallel to an existing stream bed. 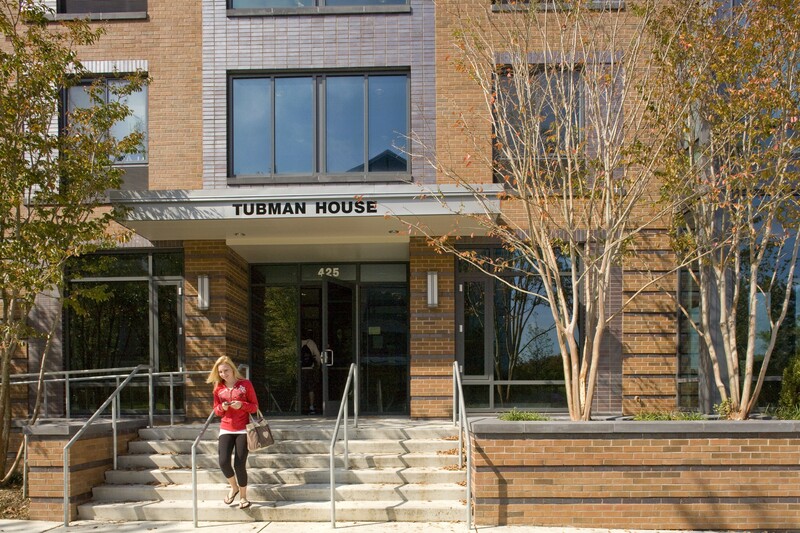 Flanked by residence halls and classroom buildings on both sides, this promenade will become the pedestrian lifeline for existing and future structures on the west side of campus. A new central lawn bisects the promenade, creating the core of West Village. 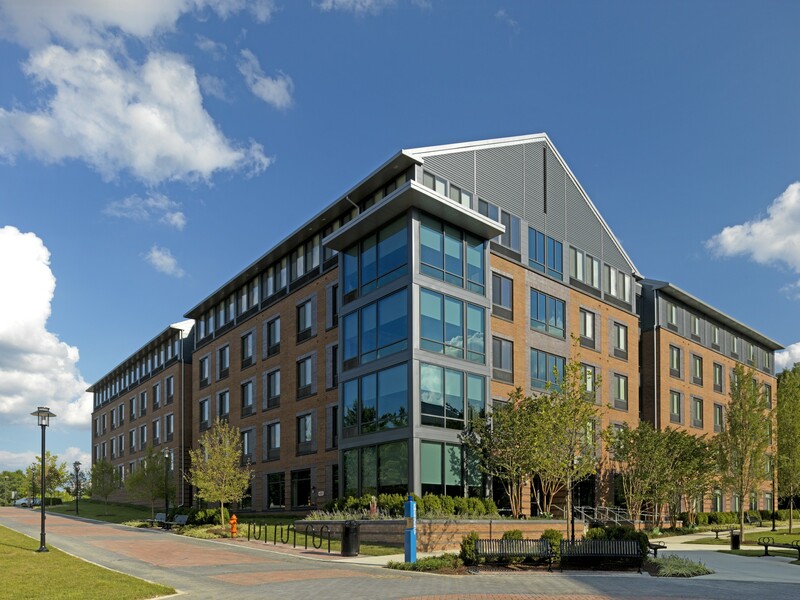 This development offers two new student-housing buildings with 668 beds of shared bedroom suites, as well as 15,000 SF of living-learning program space. 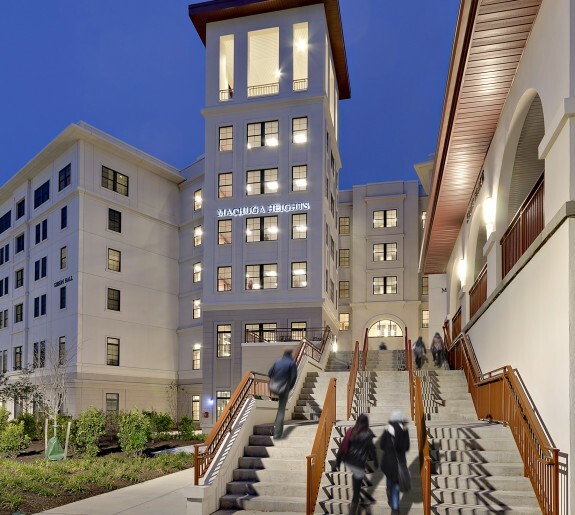 The L-shaped buildings offer 159,000 GSF to the University, with 81,000 GSF in the West Buildings and 78,100 GSF in the East Building. 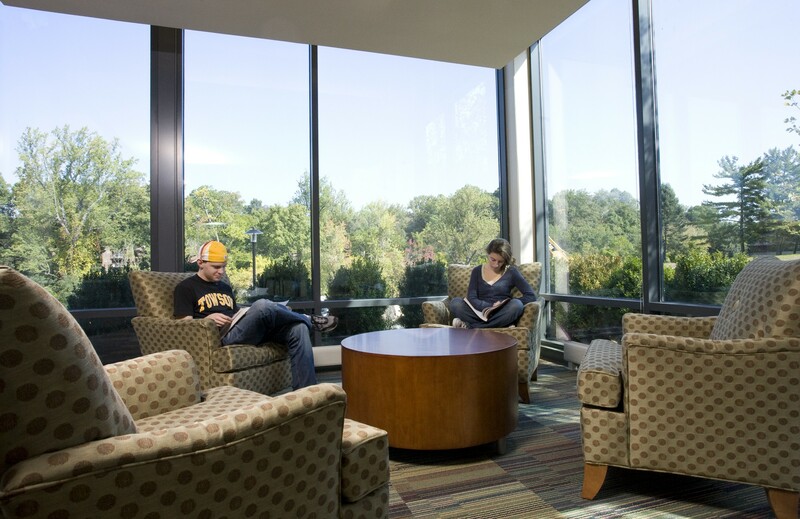 There will also be Resident Life Quiet and Community Lounges on each floor creating a variety of spaces for students to enjoy while studying or socializing with friends.